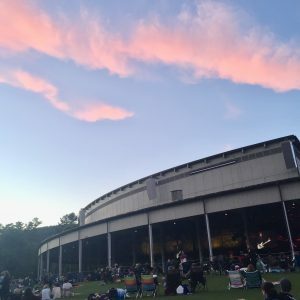 Summer is in full swing in the Berkshires as are Tanglewood and all the theaters, Jacob’s Pillow, and the museum. The Berkshires are bustling with people. Will you be visiting us this summer? The program at Tanglewood is mostly Bernstein to celebrate his 100th birthday. The theaters have some wonderful plays going on too! Did you know that the Berkshires has a 1/2 TIX program? Same day half price tickets are available at the Lenox Chamber of Commerce (4 Housatonic Street) and a few other locations Tuesday through Sunday; noon until 4:30 pm. Monday tickets may be purchased on Sunday. The venues participating this year are: Barrington Stage Company, Berkshire Theatre Group, Capital Steps at Cranwell, Chester Theatre Company, Mac-Haydn Theatre, Shakespeare & Company, Tanglewood and The Theater Barn. Tickets are sold on a first-come, first-served basis on a cash only basis. If you haven’t made plans you just might get an amazing deal! For more information call the 1/2 TIX hotline at 413-7432-1339; information is updated by 11 a.m.
Over the past few months I traveled to Paris. I thought it was about time that I took my own advice and did some travel to expand my mind and practice some self care. It was my first there and the first time I traveled abroad on my own, although I met up with some friends on my second day there. The purpose of my trip was to attend a two day retreat with my coach and to share a full day photo shoot with three other women. Both were eye and soul opening experiences and I have to say were successes. 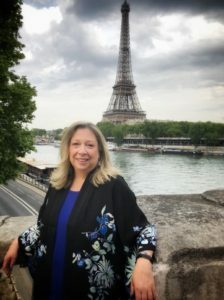 There’s a photo of me (below) with the Eiffel Tower lit up in the background. I had so much fun doing the photo shoot that I scheduled the photographer for a full day here at the inn. I’ll be sure to start using the new photos more! We are also almost finished with the inn’s paint job. It was on the books for September, but Mother Nature did not cooperate and sent us too many rainy days. Next it was to begin at the end of April, but it was still too cold. I’m happy to say they started mid-May and even with the rains of spring we are only a few days away from finish! The Rookwood is looking mighty spiffy with her fresh coat of paint, if I may say so myself! Everyone Loves February at The Rookwood Inn!